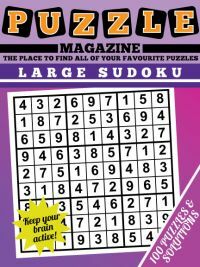 The Minesweeper puzzle is a puzzle that requires you to work out where a set of mines are placed in a rectangular grid. In order to do this, some clues are given in cells that tell you a little bit of information about where the mines are. Look at the picture to the right: you'll see that whilst most cells are blank, some have a number in that could potentially range from 0 to 8. These tell you how many touching cells - including diagonally touching cells - contain a mine. So a 0 tells you none of the touching cells contain a mine and can be crossed off immediately. 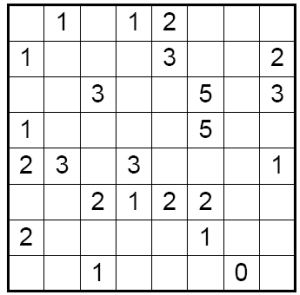 The aim of the game is to fully determine whether each cell has a mine in it or not. If a cell does not have a mine it it, then it must be empty and vice versa. 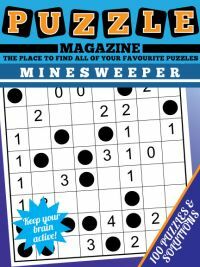 Sometimes you will need to cross-reference between cells to work out where the mines are placed, but with all the puzzles in minesweeper magazine you will never need to guess: logic alone can be used to solve them. 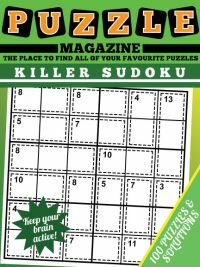 Also there is only one solution with each puzzle in minesweeper magazine, so if you get stuck look carefully once more and you should find an elimination or other piece of logic that you have missed. 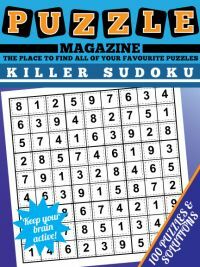 Whether you are new to minesweeper or have played this puzzle before, the print and play PDF magazine should prove a fun challenge. 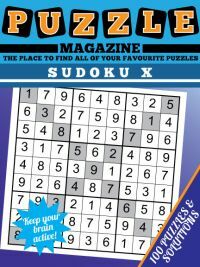 If you are unsure of how to go about solving the puzzles, we also have a how to solve minesweeper puzzles page. 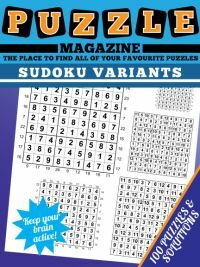 To play a sample puzzle from the magazine, then view the sample magazine puzzle magazine page. You don't need a Paypal account to order.